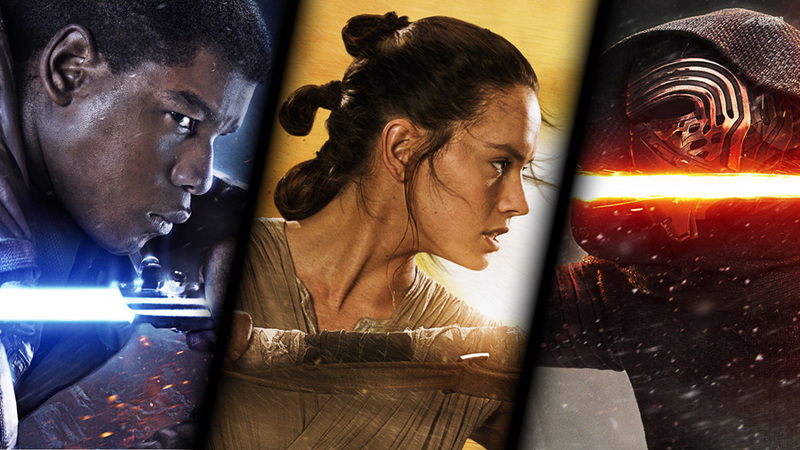 Star Wars: The Force Awakens is the latest film in the beloved Star Wars franchise. Fans were worried when Disney bought the rights to the films and announced plans to make a new one. For the most part, their fears were unfounded. The Force Awakens will delight loyal fans and introduce the franchise to a new generation. The Force Awakens takes place 30 years after Return of The Jedi. The Empire has been overthrown only to be replaced by the more ruthless First Order, led by the Supreme Ruler. Within this context we are introduced to Rey, a scavenger on a planet called Jakku, played brilliantly by newcomer Daisy Ridley; and Finn, a reformed Stormtrooper played by John Boyega. These central characters are on a quest to deliver crucial information about the whereabouts of Luke Skywalker to the rebel fighters. The first part of film the establishes the story and is a bit erratic at times, but things pick up when a battle-weary Han Solo appears on-screen. Harrison Ford, though older, has all of the swagger and a snark that made him a legend in the Star Wars universe. While the action sequences and special effects of The Force Awakens were stunning, I found some of the storytelling to be lacking. I understand that J.J. Abrams and his team of writers had a heavy burden on their shoulders to produce a quality movie (or a film that was at least better than the Phantom Menace), but I think they played it too safe. I really wanted to see the filmmakers take some risks with this installment. In an effort to placate fans, The Force Awakens gives many nods to previous films in the Star Wars series’ first trilogy; so many, in fact that I started to wonder if I were watching a new movie or a retelling of Stars Wars: A New Hope. In one scene, for example, the main characters enter a rowdy establishment strongly reminiscent of the first film’s Mos Eisley Cantina. But there are many other shots and quotes that will be instantly recognizable to die-hard fans. I was also a bit disappointed with the Kylo Ren character. While he has cool Dark Side style, an awesome lightsaber, and some amped-up Jedi powers, I felt as if he lacked the menacing presence of Darth Vader. In some scenes, I found him to be a bit too petulant. Overall, Star Wars: The Force Awakens is a good action flick that embodies the spirit of the original films. I was glad to see Harrison Ford, Carrie Fisher, and Mark Hamil reprise their roles (Chewbacca, C3PO, and R2D2 alos make appearances). I’m also excited to see where subsequent movies in the series take us, and I’m looking forward to learning the answers to questions raised in The Force Awakens (specifically ones about Luke Skywalker).